NYC Smile Design - BLOG - Can’t Breathe, What’s that Got to Do With My Teeth? Actually, it is your airway and the ability to breathe freely through your nose that has a great effect on the teeth. Whether you breathe freely through your nose or with extreme difficulty through your mouth, has a huge effect on how your teeth will look and function, eventually affecting how the muscles of your face will function and how comfortable and pain free they will be. So we have made a very bold statement: MOUTH BREATHING IS A PROBLEM! Sometimes we briefly mouth breathe because of cold or allergies. This is not a problem as it is temporary. Chronic mouth breathing starts very early, as children. So as parents, it is important to watch your kids when they sleep and watch out for signs of mouth breathing. The only reason mouth breathing starts is because of something restricting the normal flow of air through the nose. What restricts the normal flow of air through the nose? One main reason is chronic allergies enlarged adenoids, which is tissue in the back of the throat that is responsible for filtering out allergens viruses and bacteria. Another reason is a deviated septum of the nose. Mouth breathing can negatively affect the development of face creating a long, narrow face, and turned up nose. It can also impair breathing by preventing adequate oxygen delivery into the body. All of this can be corrected for a healthy and long lifespan. 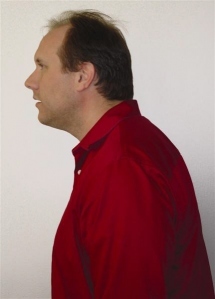 Because of difficulty in breathing, mouth breathers have to posture their head forward and move their tongue forward and down to get more air in. When the head and tongue are pushed forward, it opens the throat so you can breathe better. 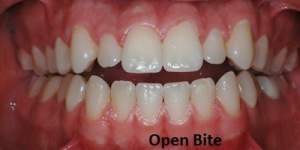 However, this leads to an “open bite”- where the upper and lower teeth don’t meet as the forward positioned tongue has pushed the front teeth out of the way. Normally the tongue shou ld place forces on the teeth of the back molars to create a nice wide arch, which is also facially aesthetic. If the tongue is constantly thrust forward for better breathing, the arches will never develop properly and will end up with narrow arches and eventual misaligned teeth will lead to further facial muscles and jaw joints being overworked. In addition to this fundamental issue, it also affects the face esthetically. It is never too late to correct these problems although it is important to take care of these as early as a young age.